Your own portfolio offers a variety of new possibilities. Despiting the ability to trade with the money you have earned as a CEO stocks of your newly founded companies are transferred to your own portfolio. The former user page is separated into five subpages now. The first shows some information about the user and his employments. 'My Portfolio' leads to the new personal portfolio. 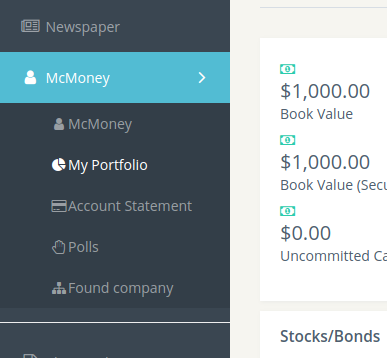 'Account Statement', 'Polls' and 'Found company' hold the boxes which were shown on the old user page. Chat messages sent by yourself and all clearly personal pages like your own portfolio and your user page for example share the same background color in order to give you certainty about being in a personal or corporate context without the need to check the sidebar. 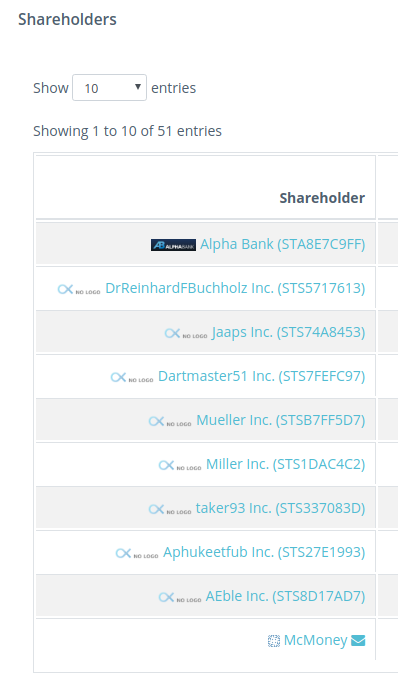 Private investors can be found in the securities' shareholders page. 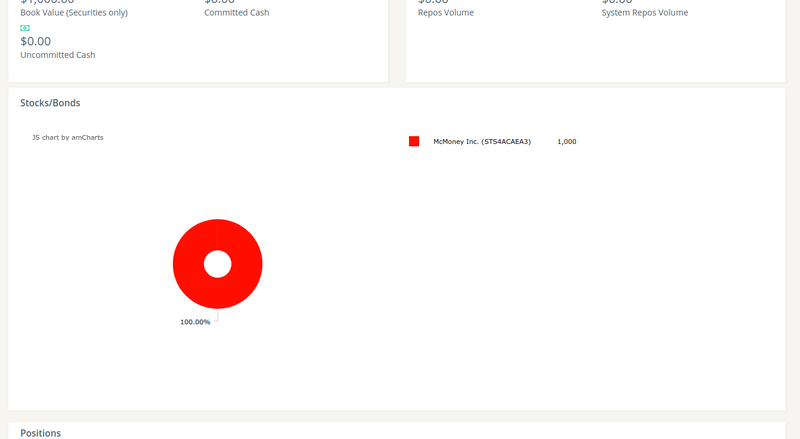 For portfolios that do not contain any repos the repos chart is not displayed anymore. A new URI scheme got implemented. There is no need of "/en/" or "/de/" in the addresses anymore. Old URLs still do work however. They are redirected to match the new URI scheme. The error page got a makeover. It offers you 3 ways to deal with the error you have experienced. You can try it out by yourself. 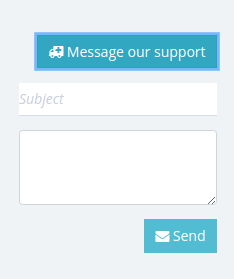 It lets you send an email with your email app in case anything does not work anymore. It shows a scene from The Wolf of Wall Street (2013). Every page has an own title now to prevent you getting lost with several open windows or tabs. The two usages of tabs are replaced with pillow tabs for more clean rendering. Notifications and the login/registration page now use pillow tabs. 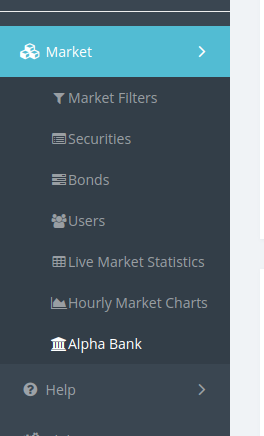 It is now possible to get to the Alpha Bank via the sidebar. 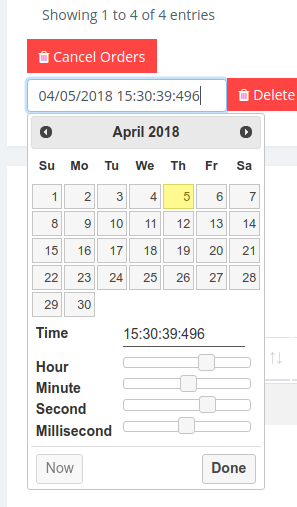 Placing an order moved up in the sidebar to make clear that it is the same page for your own and for a corporate portfolio. The order page distinguishes between your personal portfolio and the corporate one of the currently selected company. 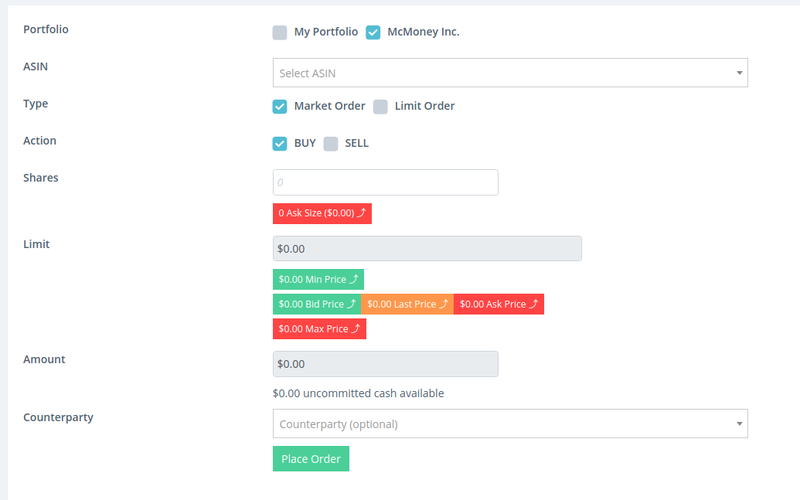 The backbground color changes when you select 'My Portfolio' to ensure you with which portfolio you are placing this order. The form got a slight makeover to make it clear which options were chosen. 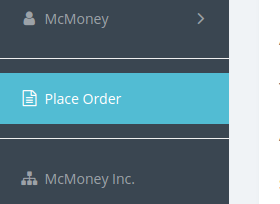 It is now possible to delete old orders. 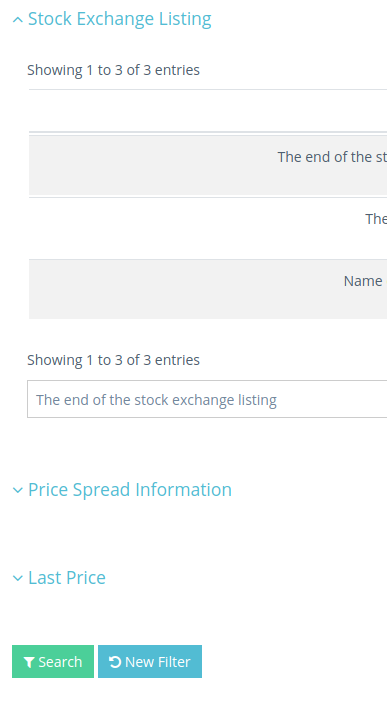 The market filters got a slight layout makeover featuring arrows to show which fiter part is collapsed. The baking page makes it clear what is needed to request a banking license now. The security profile features more equally high boxes now. 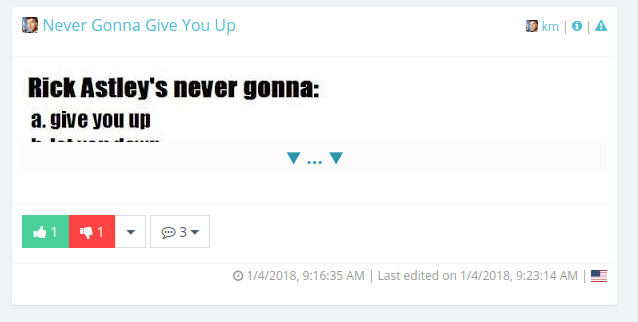 The news posts got a layout makeover to prevent text from overlapping the post's box. 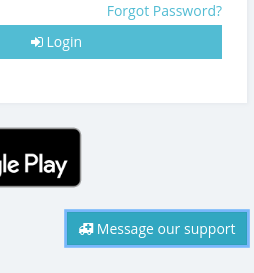 If you happen to not be able to log in anymore or if you have a problem registering a new user you can now use the email form on the login page. Notifications will now be shown with all of their details in the upper right corner. 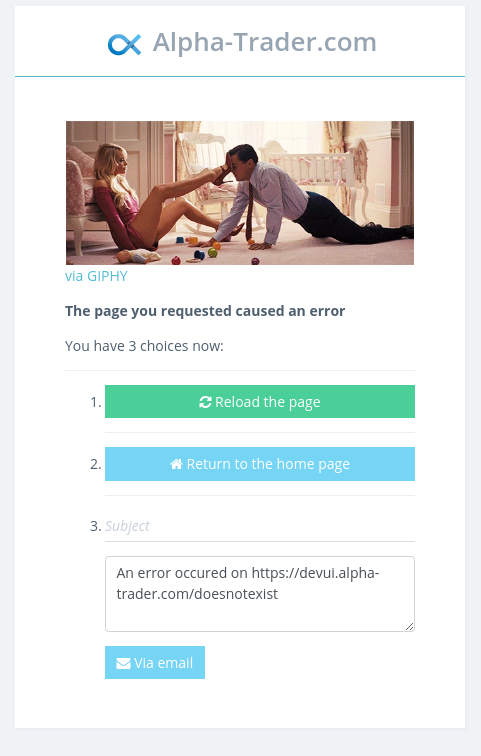 ASINs are automatically replaced by links to let you get to the traded security without the need to open the notifications page.